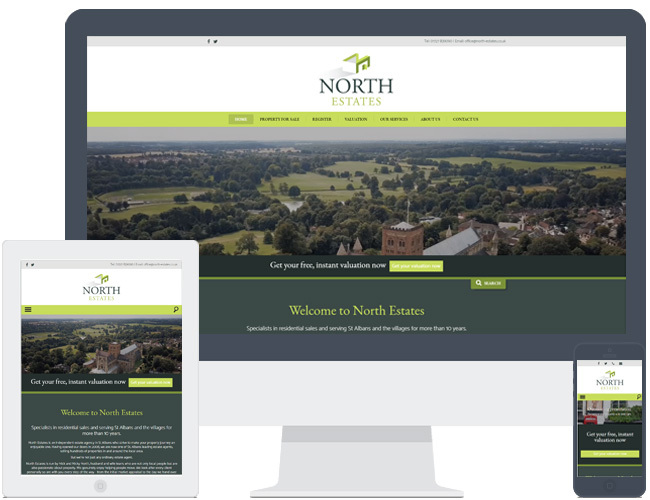 North Estates chose theme R8 for their new website. Their modern branding complements this theme well with the lime green and dark greys. We also moved their search feature to instead sit below the slideshow to account for their valuation banner.